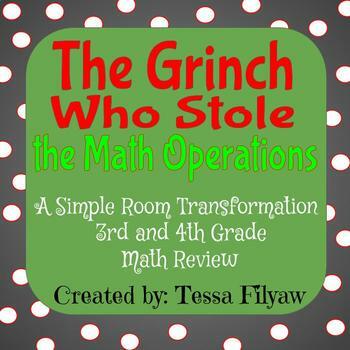 This product helps to make math review fun and engaging during the Christmas season. Students will have a blast reviewing math operation skills. 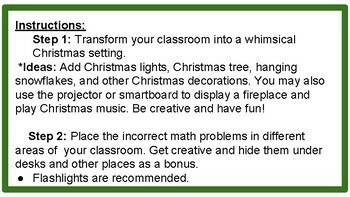 Step 1: Transform your classroom into a whimsical Christmas setting. *Ideas: Add Christmas lights, Christmas tree, hanging snowflakes, and other Christmas decorations. 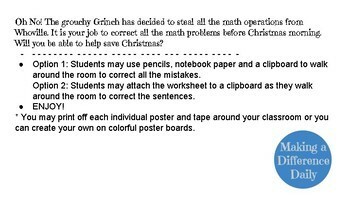 You may also use the projector or smartboard to display a fireplace and play Christmas music. Be creative and have fun! Step 2: Print and cut the math posters provided. 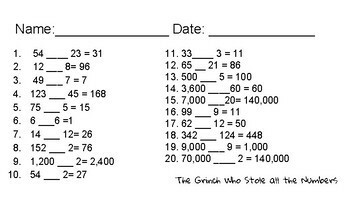 Place the incorrect math problem posters in different areas of your classroom. Get creative and hide them under desks and other places as a bonus.